An opening reception will be held Saturday, September 15, 2012 from 5:30pm to 7:30pm. Lost Highway – A Painter’s Journey is in collaboration with the exhibition at Kirk Hopper Fine Art featuring current work by Roger Winter. An opening reception will be held Saturday, September 8, 2012 from 6:30-8:30, located at 3008 Commerce St.
Lost Highway – A Painter’s Journey is an exhibition of works by Roger Winter spanning his artistic career from 1965 to the present. 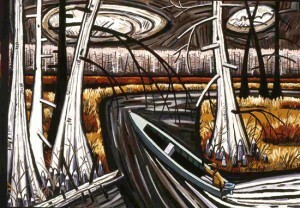 In the Large Gallery, The MAC will present a selection of Winter’s monumental paintings from the 1980′s to the present. In the New Works Space, a retrospective survey of paintings and sculpture will explore his various styles and subject matter. 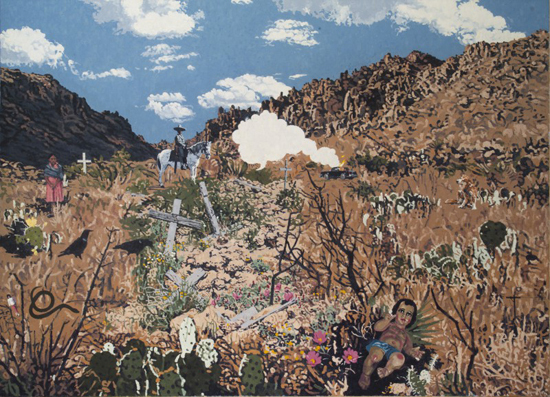 Roger Winter is one of the most important contemporary Texas painters alive today. Over 40 years, Winter yielded a body of work that can only be accomplished by a true master of the medium. Winter’s early works from the 60′s and 70′s are autobiographical paintings, pulled from a mental catalog of images of his family and childhood. Winter’s use of surrealist qualities signifies the intermittent narrative of one’s memory. The following decades are marked by a photo realistic approach to the composition. These stylistic and technical choices are what set him apart from his colleagues. His ability to establish a sense of place and time, notably in the Texas landscape, is unmatched by any living painter working similarly. Winter’s evolution comes full circle in his current body of work in which surrealism coalesces with photo realism. The result is a union between the visual power of his paintings and a poetic, yet challenging intellectual engagement with the viewer. 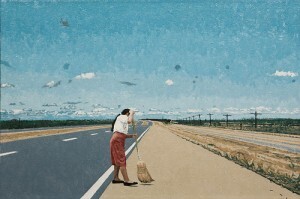 Roger Winter, born in Denison, Texas, currently splits his time between his studio in New York City and Santa Fe, New Mexico. Winter earned his BFA from The University of Texas in Austin, Texas where he studied under a legendary Texas landscape painter of an earlier generation, Loren Mozley. He then earned his MFA from the University of Iowa, Iowa City, Iowa, returning to Texas in 1961 where he would teach drawing and painting at Southern Methodist University for twenty six years. Winter is represented by Gerald Peters Gallery in Santa Fe and Kirk Hopper Fine Art in Dallas. Roger Winter’s commitment to teaching has always been a central focus in his life. A professor of painting and drawing at Southern Methodist University for nearly three decades, Winter mentored many young artists including John Alexander, David Bates, Brian Cobble and Lilian Garcia-Roig. 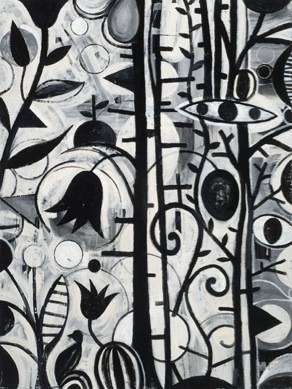 Under the Influence takes a closer look at the relationship between Winter and these four students while highlighting milestone paintings in their own artistic careers. 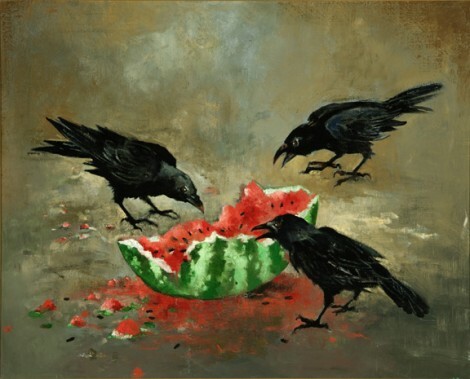 John Alexander, born and raised in southeast Texas, received his MFA from SMU in 1970. Alexander has exhibited extensively in the United States and around the world, most recently in Beijing. He has had a major retrospective at the Smithsonian American Art Museum and the Museum of Fine Arts in Houston. He is represented by the McClain Gallery in Houston, Texas and Arthur Roger Gallery in New Orleans, Louisiana. David Bates currently lives and works in Dallas, Texas. He received his MFA from SMU in 1978 and has exhibited extensively across the country since the 80′s. Recent exhibitions include a solo show at Betty Cuningham Gallery, New York City and Dunn and Brown Contemporary (now Talley Dunn Gallery), Dallas. David Bates is represented by Talley Dunn Gallery in Dallas. Brian Cobble earned his MFA from SMU in 1977 and currently resides in New Mexico. Cobble was a fellow of the MacDowell Colony in 1979 and 1981. Recent exhibitions include a solo show at Valley House Gallery and Sculpture Garden in Dallas and numerous group exhibitions with the Pastel Society of America in New York City. Brian Cobble is represented by Valley House Gallery and Sculpture Garden in Dallas. Lilian Garcia-Roig earned her BFA from SMU in 1988 and her MFA from the University of Pennsylvania, Philadelphia, Pennsylvania in 1990. She has since exhibited nationally and held a fellowship at the MacDowell Colony in 2008. 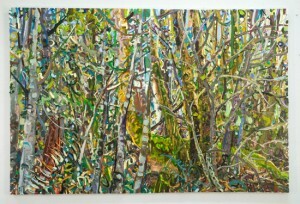 Garcia-Roig has also received the Joan Mitchell Foundation Award in Painting in 2006. Solo exhibitions include Valley House Gallery and Sculpture Garden in Dallas, the Museum of Contemporary Art in Jacksonville, Florida and the Grace Museum of Art in Abilene, Texas. Dan Rizzie, born in Roughkeepsie New York, received his BFA from Hendrix College in 1973 and his MFA from SMU in 1975. Rizzie has extensively exhibited in New York and Texas. 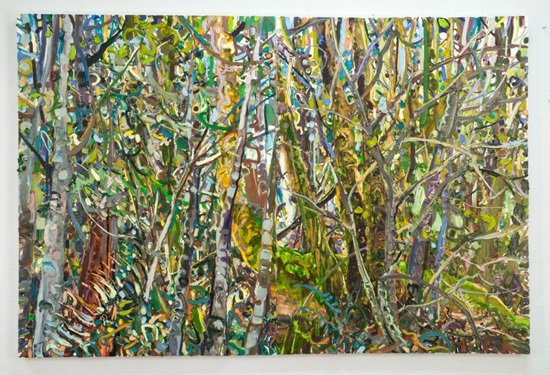 Recent exhibitions include the Hampton Road Gallery and Peter Marcelle Contemporary both in Southhampton, New York. In 2005, Rizzie received the Distinguished Alumnus Award from the Hendrix College in Arkansas. The MAC is producing a full color catalog, Lost Highway – A Painter’s Journey, that will be available to purchase at the opening reception. The catalog will include an essay by the esteemed art critic, William B. Jordan, an interview with Poet Laureate of New York State, Jean Valentine, and a special dedication to the late Nancy Cone Hanley. A limited edition of the catalog will include a DVD interview by Quin Mathews Films featuring Roger Winter with John Alexander, David Bates and Lilian Garcia-Roig. The interview will also be available for purchase separate from the catalog.